The Neem tree is native to India and lives for around 200 years. Historically the Neem tree is said to have divine origins and is revered in India. It is referred to as 'the village pharmacy' due to its many healing properties. 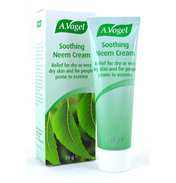 Neem oil is traditionally used for a variety of skin and nail complaints and is also a powerful insect repellent. Neem Leaves from the neem tree are anti-inflammatory, antibacterial and antifungal making it extremely useful of calming, and often, sorting out the problem area. It is noticeable that many conditions respond to these products when other remedies have failed. The oil has been extensively tested in Edinburgh, on the Highland midge, by a team of leading experts who concluded that midges have highly sensitive antennae and could detect Neem oil from the air. 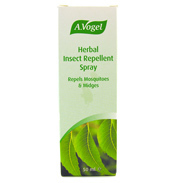 The scent of Neem oil prevents the midges from biting. Neem Seed Extract, the highly concentrated extract from Neem seeds, is an extremely powerful method of eliminating insects, particularly head lice. Bioforce's Neem care range is available as a skin cream, insect repellent, oil, nit zapper, shampoo and as a range for horses.